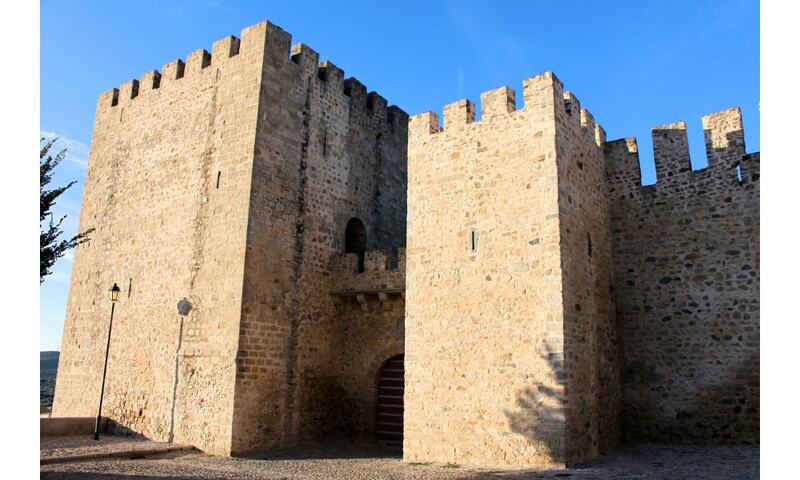 The Castle of Elvas is a medieval military fortification, part of a first line of defense in the Portuguese Alentejo, in conjunction with the military forts of Ouguela, Campo Maior, Olivenca and Juromenha. Between the 8th and 12th century Muslim forces occupied Elvas, resulting in the construction of the fortress. In 1230, after numerous attempts to capture the fortress, the castle and surrounding territory was abandoned by Muslim forces, who had received word that Alfonso IX had reached and was threatening Merida. The castle is found in an isolated urban context, on an elevated zone known as the Costa da Vila Fria, with many of the towers and walls extending over the landscape.